See something you liked? You can place an order by emailing me directly (see below). All of the pottery is handmade so I would like to correspond with you personally. . Simply email me a photo of what you would like placed on the pottery. I love creating artwork that is meaningful to you and your family. My turn around time is typically two weeks (except holiday time which may require additional time). If you need it sooner feel free to email me. November and December do get hectic. The two week time frame is harder to follow. Please email me with questions. 1. 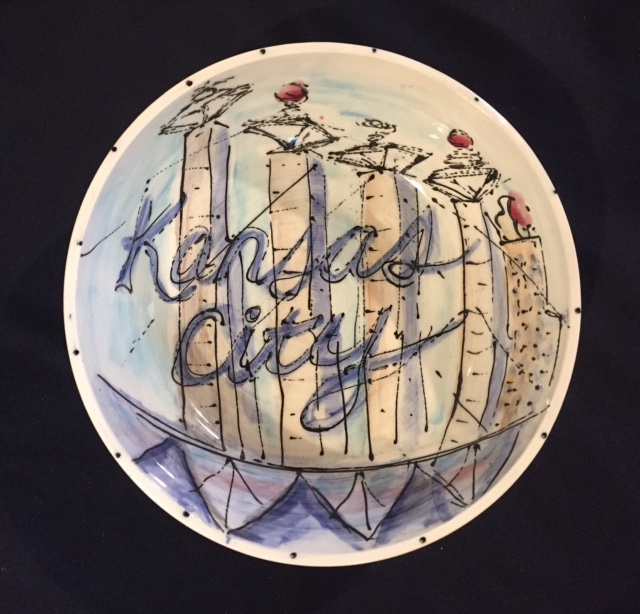 Email me the photo of the house or image you would like on the platter/plate. 3. Choose what shape of platter you would like. Examples are shown on the "Personalized Pottery" page. 4. Email me the address where I am shipping the platter and I can calculate the shipping. If you are in the Kansas City area and would like to save on shipping you can pick it up from me (please indicate this when ordering). I accept credit card, PayPal or check. Indicate how you would like to pay when placing your order. If paying by credit card or PayPal I will send you an invoice. Most platters cost $10-$15 to ship. Indicate which state I am shipping the platter to and I can calculate the shipping.